With the New York Giants moving veteran Dominique Rodgers-Cromartie to safety, a vacancy has opened up at the cornerback position. General manager Dave Gettleman could choose to allocate a draft pick towards strengthening the secondary, but needs at linebacker may force his hand. Luckily, there’s a solid free agent entering the market, and he’s coming off his best season yet. 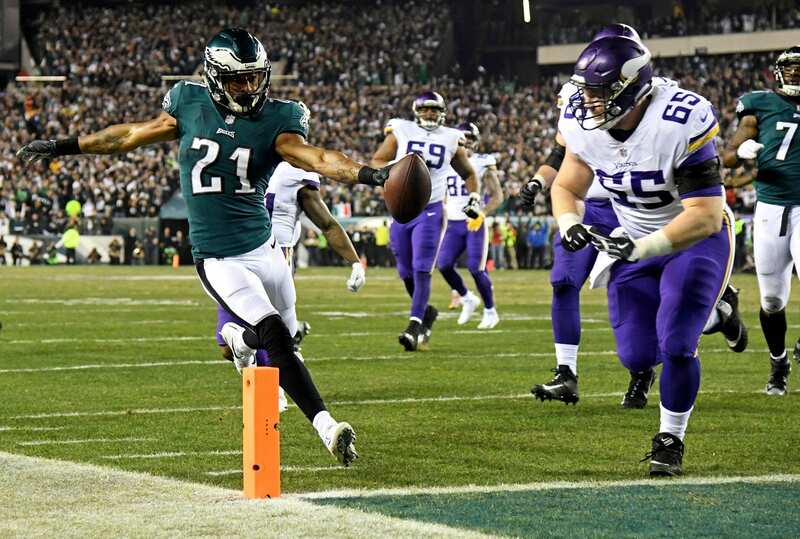 Philadelphia Eagles cornerback Patrick Robinson may be a steal in FA if the Giants can ink him to a deal. Although he’s a 30-year old corner, he posted incredible numbers last campaign, locking down some of the league’s best receivers. He could just be a late bloomer, or enlightened by the emotion surrounding the Eagles’ team in 2017. In 2017, he started in all 16 games, intercepting four balls and defending 18 passes. He also recovered a fumble. His breakout season will raise his stock going into FA, but as a corner going on 31 years-old, there is a cap to how much money he will garner. How much can the Giants offer? The Giants are looking to sign Pro-Bowl guard Andrew Norwell, which will allocate around $13 million per-season from their current cap-space of $23.6 million. This will leave around $10 million to sign other players. We can also assume multiple players will be cut which will open up more cap. Robinson could get $4-6 million per-season on a two-three year deal. This could be doable if players like Brandon Marshall, Dwayne Harris, and Ray-Ray Armstrong are cut.